John F. Gullace, Esq. and Kathleen B. Campbell, Esq. The Superfund Task Force, which was comprised of EPA personnel from across the country, completed its work on June 21, 2017, and its recommendations were made public on July 25, 2017. The Superfund Task Force developed 42 recommendations, none of which require legislation. The themes we gleaned from the recommendations are that EPA wants to show quick progress at high-profile sites and generally speed up the Superfund process; EPA intends to reduce the number of Superfund sites on the National Priorities List (NPL) by completing cleanups and being more selective about the sites added to the NPL; and EPA will focus on ways to bring contaminated sites back into productive use. We can expect EPA to use both the carrot and the stick in pursuit of these goals in 2018. One specific recommendation was that the Administrator become directly involved in ten high priority sites, a so-called Top 10 List. On December 8, 2017, EPA announced that the Top 10 List had been created – and initially consists of 21 sites that will receive Administrator Pruitt’s direct attention. The Administration has staked much of its environmental agenda on its ability to make the Superfund program more efficient, so we expect the Administration to continue its drive to accelerate the cleanup of high profile Superfund sites, such as those on the Top 21 List. Responsible parties at these sites, and other sites, should expect to see the Superfund process move more quickly than historically has been the norm. 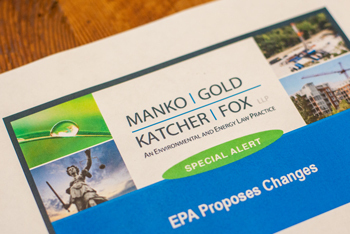 Equally, responsible parties may encounter an EPA that is more flexible when it comes to remedies, employing strategies such as adaptive management, but also perhaps quicker to issue orders where progress does not meet EPA’s expectations. The pace at which Pruitt’s EPA continues to address the Task Force recommendations is obviously unknown at this point, but as of now all signs point to speed. We expect Superfund to remain an EPA priority in 2018 and will watch with interest to see what specific new tools might be employed by EPA to begin returning contaminated sites to productive use.